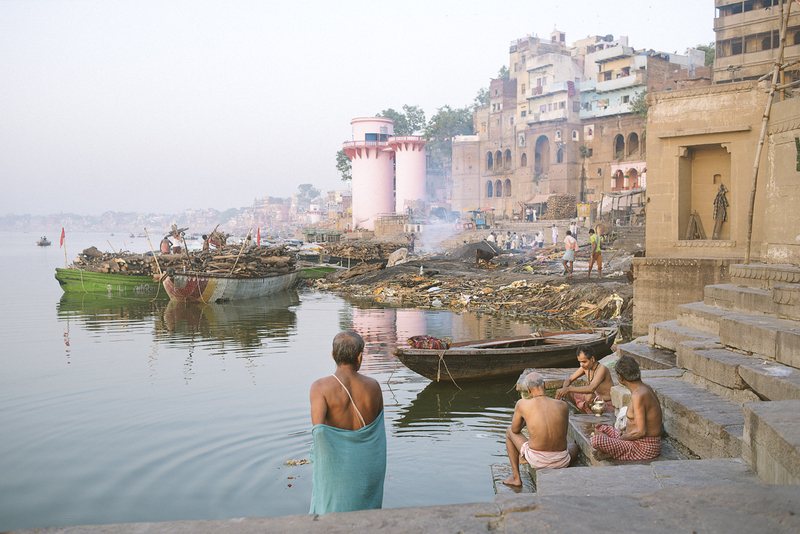 Photographer Mark Leaver is captivated by Varanasi, where Hindu pilgrims flock to bathe in the sacred waters of the river Ganges and to die. I become nocturnal in Varanasi. Seeking refuge from the burning heat, I sleep during the day and only venture out under cover of darkness. But India is wise to my tricks, and the night offers no sanctuary. At 3am, the narrow winding alleyways are just as busy as they were at midday, and the city continues to bombard my tired senses. I have been to many cities that never sleep. The skylines of New York, London, Rio and Bangkok are constantly lit, filled with business people and party goers overlapping in their endless cycles. 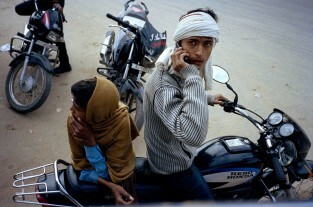 Varanasi is nothing like those other 24 hour cities. 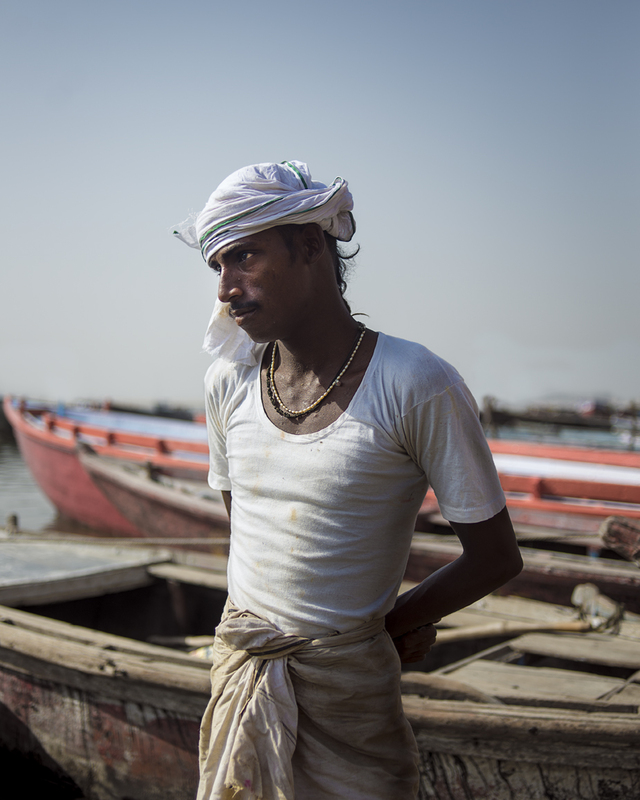 Varanasi evolved from ancient times, its very foundations imbued with a powerful spirituality. As I walk the city streets, following routes which have been trodden by pilgrims for thousands of years, I’ve never felt further from home. 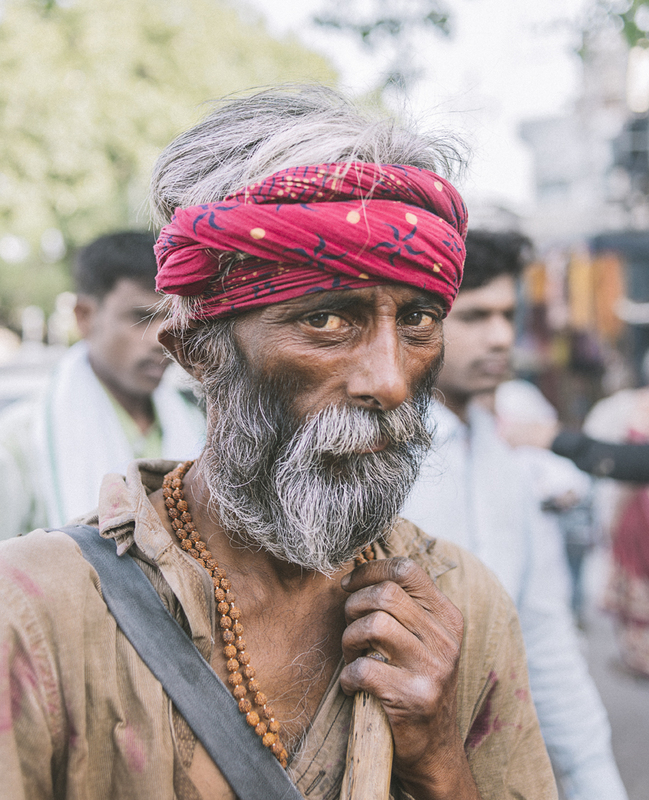 India is a challenging place to travel, and nowhere is this more true than its oldest city, a place ready to bring even the most seasoned India traveller to their knees in a state of sensory overload. 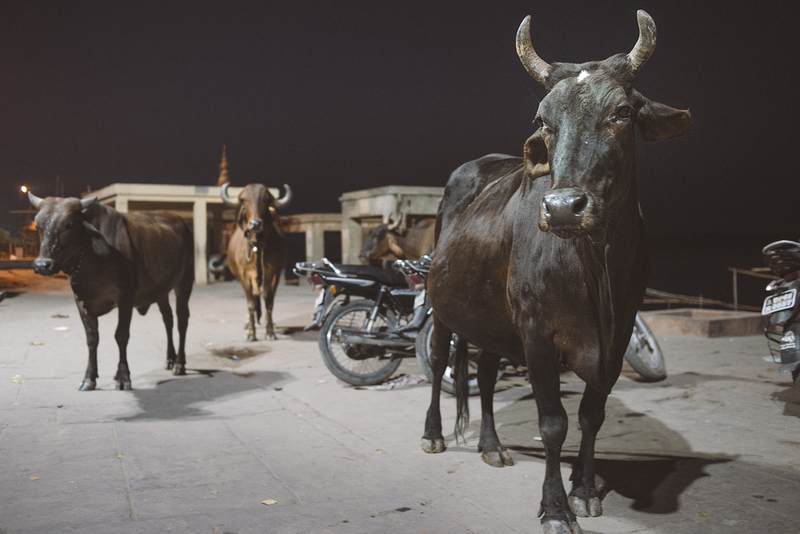 I thought I was used to the cows that rule India’s streets, bringing rush hour traffic to a screeching halt. 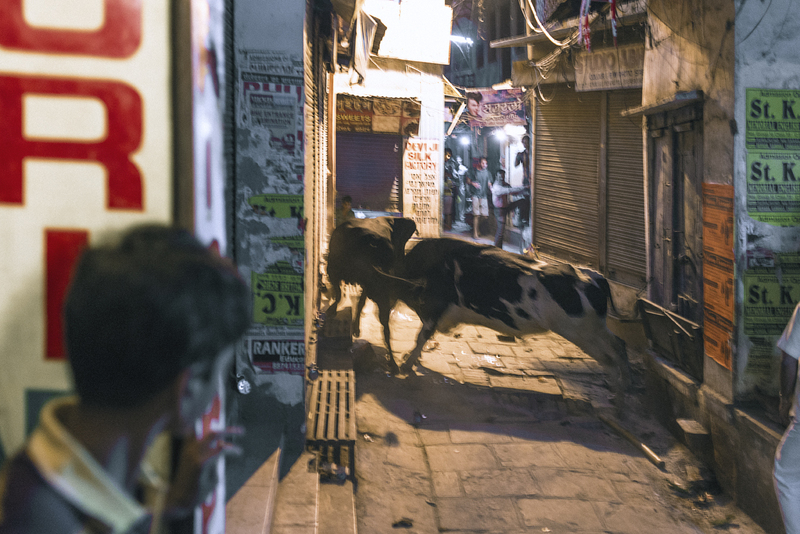 Then I saw the terrifying wild cows of Varanasi, locking horns by night and fighting in dark alleys, half illuminated by flickering street lights. Missing person posters decorate the walls in the crumbling old town, eyes staring down at me from ripped pages, causing the hairs to rise on the back of my neck. As I navigate the gloomy back alleys, it seems that figures lurk in the shadows, always just out of view. 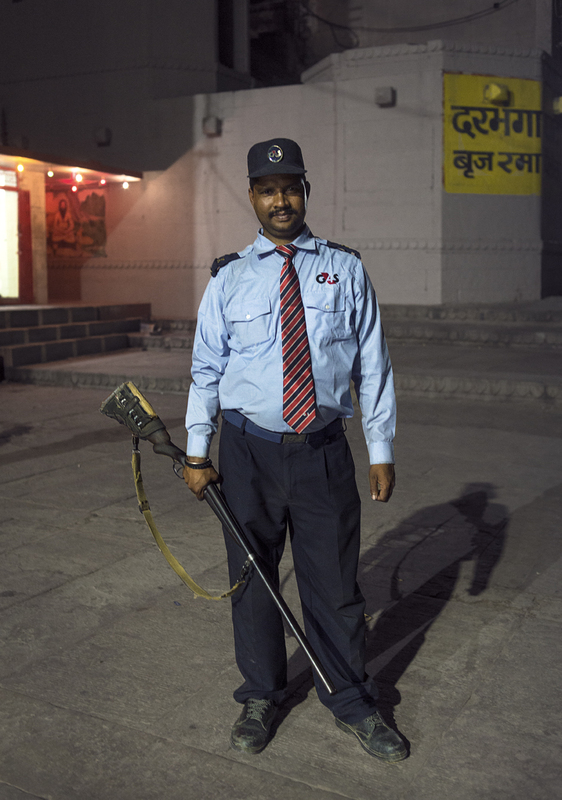 Walking alone through the pre-dawn night, I reach the sacred river Ganges and start to follow it on its slow journey through the city. The river banks are lined with ghats, or steps down into the water, each ghat with its own distinctive purpose and character. 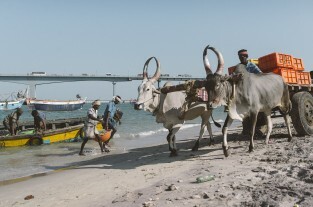 As I walk, I pause to watch a man wash his herd of buffaloes in the cold Ganges, rinsing muck from the huge beasts as they shake their heads in frustration. A few metres downstream from the buffalo, I find a ghat lined with crisp white sheets, painstakingly scrubbed clean in the brown water. I keep walking as the first hints of pink streak the night sky with colour, passing rows of paintings for sale and gangs of street dogs curled up in sleep, as I head towards the tall stacks of sacred sandalwood that mark the burning ghat. 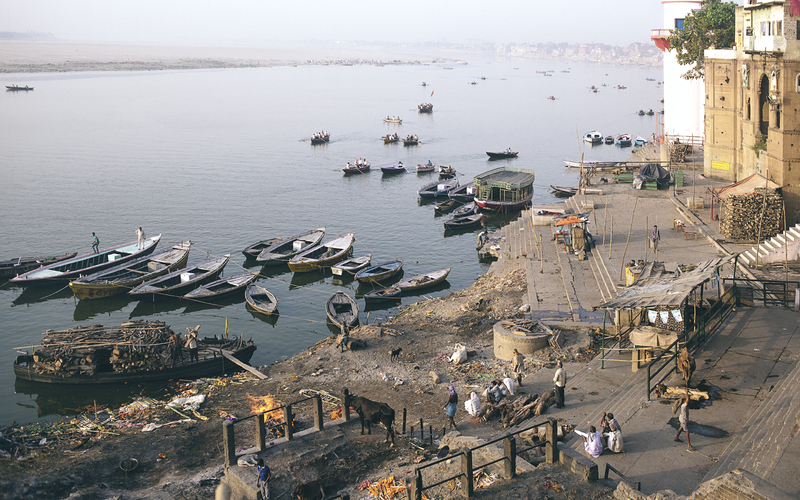 These burning ghats are the reason pilgrims have been seeking out Varanasi for thousands of years. Varanasi is most famous as a place of pilgrimage for the dying, and Hindus believe that dying in this sacred place will free them from reincarnation, the endless cycle of life, death and rebirth. 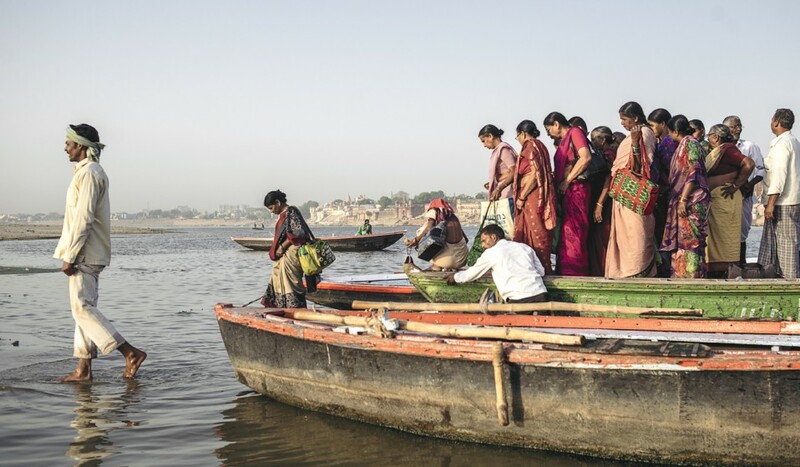 Having your body cremated in Varanasi and your ashes scattered in the holy Ganges completes the sacred ritual, and allows you to reach moksha, a state of blissful liberation beyond this human existence. 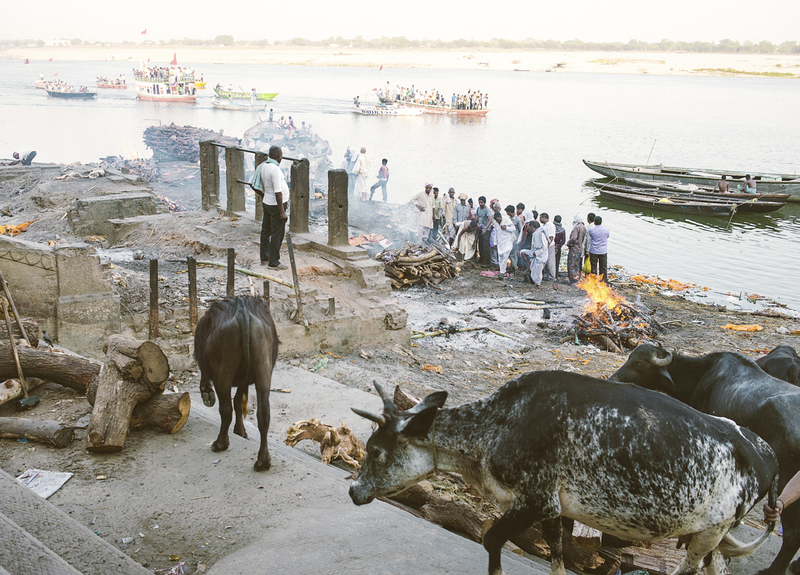 As I approach the burning ghat, I hear the soft sounds of chanting carry across the river. A crowd of orange-robed monks are standing on a wooden rowing boat, half visible across the water as their chanting welcomes the rising sun. 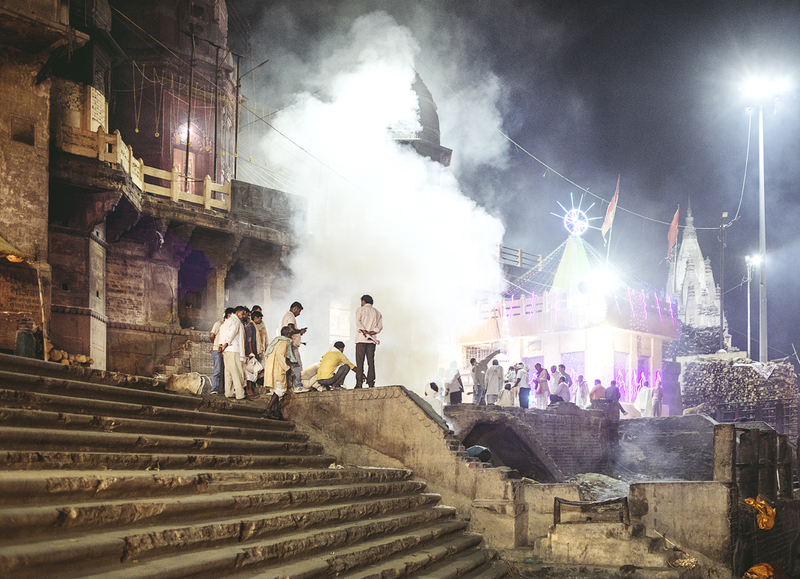 In Varanasi, bodies are burnt throughout the night to keep up with the high demand for cremations by the Ganges. I edge closer to the nearest fire, raising my hand to shield my face from the intense heat. As the flames dance and flicker, I catch a glimpse of a blackened human shape in the fire. 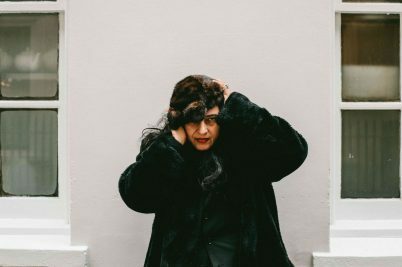 My breath catches in my throat as I realise I’m seeing a dead body for the first time. 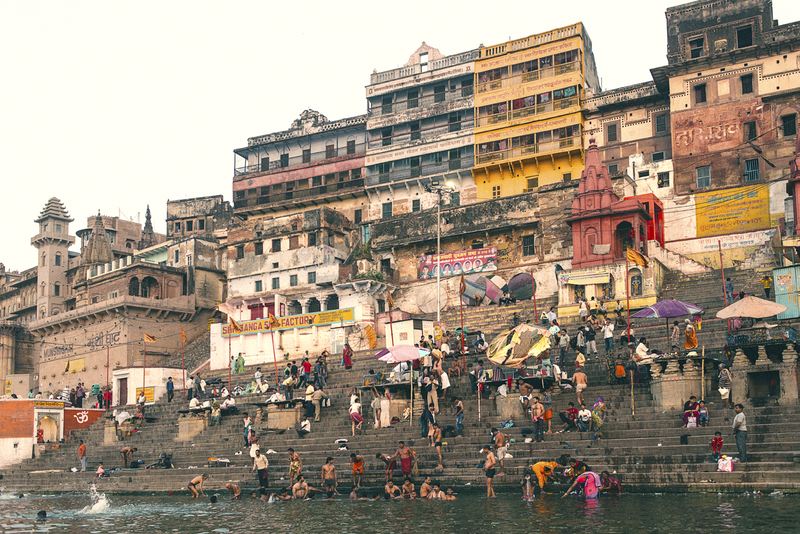 The city continues to move around me as I stand in quiet awe, simply watching the sun rise over the busy ghats. Streams of pilgrims and tourists intermingle with locals living their lives on the river, and the pyre workers continue to stoke the fires, as if unaware of the subtle shift from night to day. 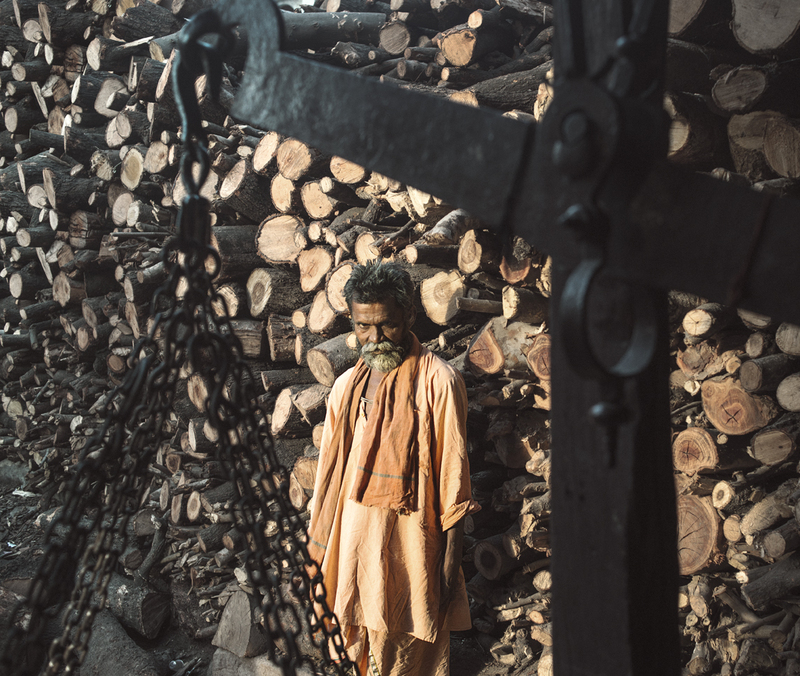 One worker takes a break from stacking the holy sandalwood to roughly push a protruding limb back into the flames, to ensure nothing is left of the already unrecognisable body. As the sun strengthens, human shapes became even clearer amidst the sacred flames. I see a blackened skull being licked by yellow flames, and a human arm sizzling and smoking as it juts out the fire at an unnatural angle. Soon even the bones will be reduced to ash. 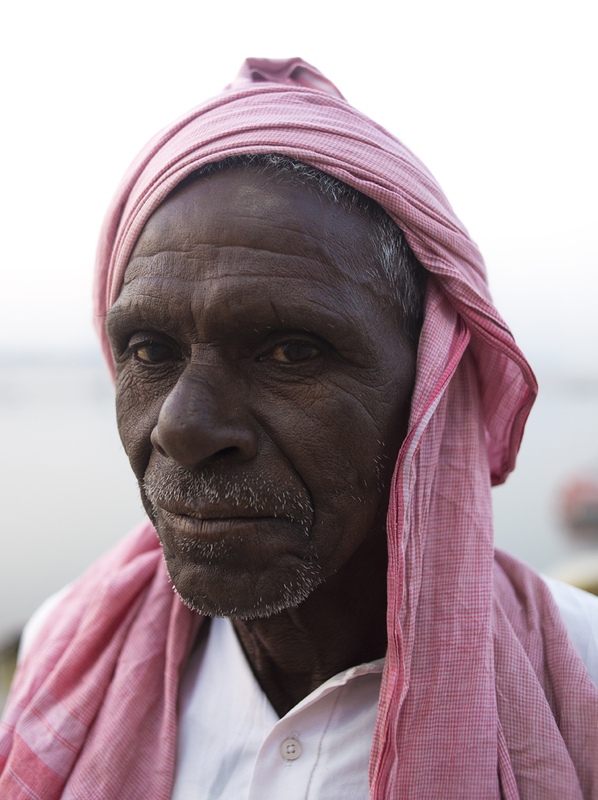 Relatives of the decreased stand along the ghats, overseeing their loved one’s path to liberation. I try to creep closer, only to be met with a wall of heat, the fires burning strongly enough to reduce a human body to ashes in mere hours. The sun is now well above the horizon, signalling my time to retreat. As I turn away from the burning ghat, shrieks and laughter carry across the water, joyful sounds ringing with dreams and life, and I notice for the first time the crowds of living pilgrims along the river banks. This obvious happiness cuts through my turbulent thoughts, reminding me that not all cultures view death as something solemn to be hidden away. 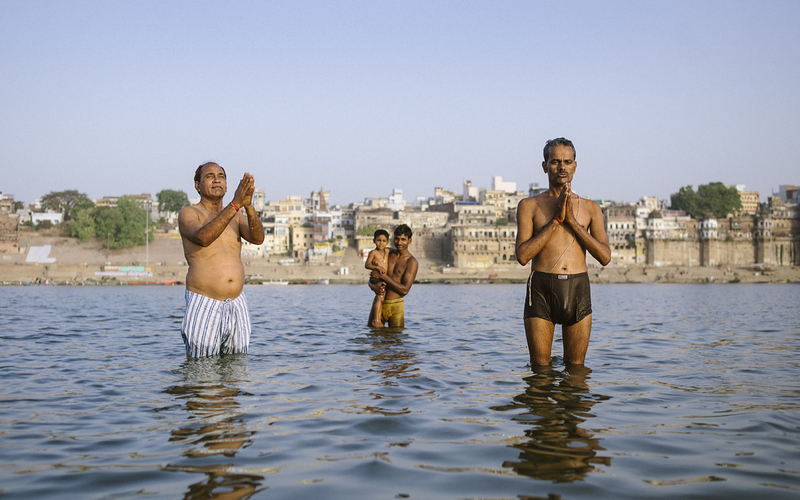 I watch the pilgrims submerge themselves in the freezing Ganges, cleansing themselves of their sins, oblivious to the human ashes and cow dung floating around them. 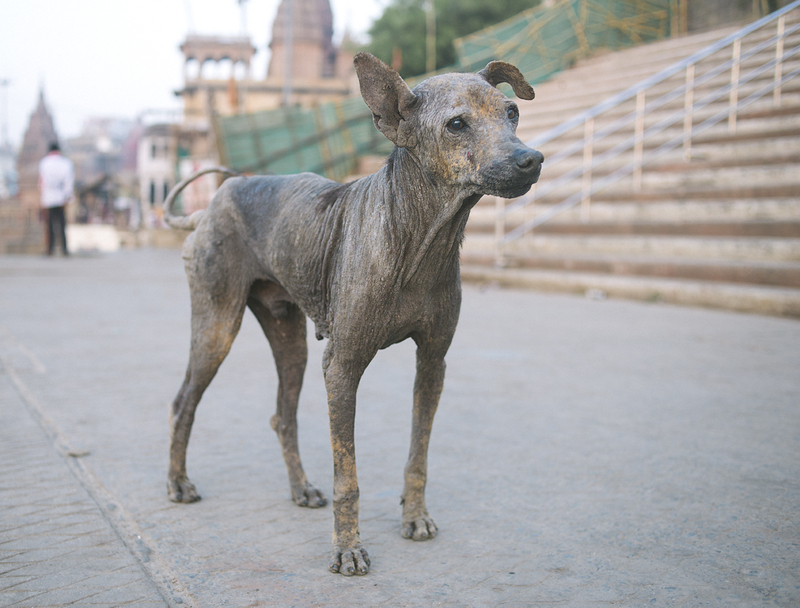 In Varanasi the divine is imbued in everything, and the wild animals that defecate in the river are no less sacred than the ancient funeral rituals. 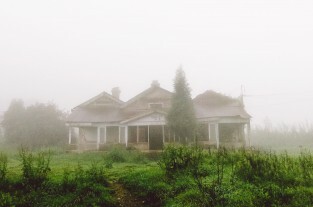 As I start back towards my guest house, murmuring “no thank you” over and over to the stream of touts who approach me, my head buzzes with conflicting thoughts. 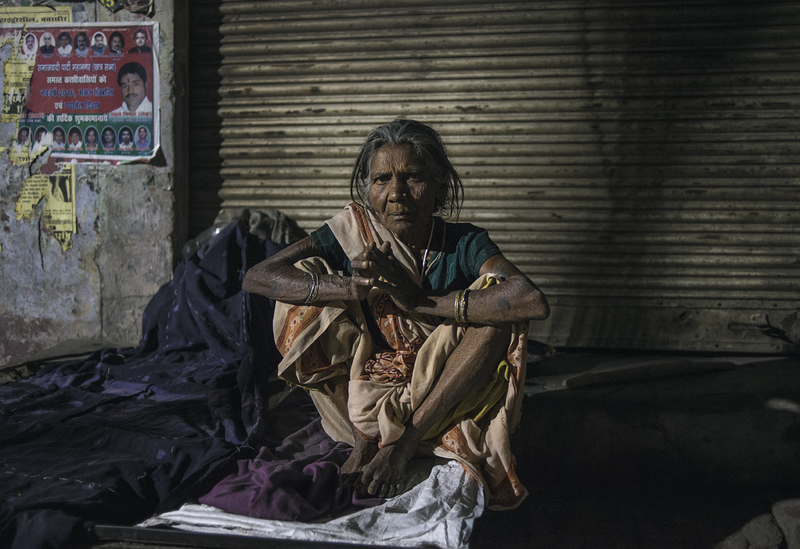 Varanasi has unsettled me with its contradictions, its seedy back alleys which buzz with energy and life despite being populated with the dying. 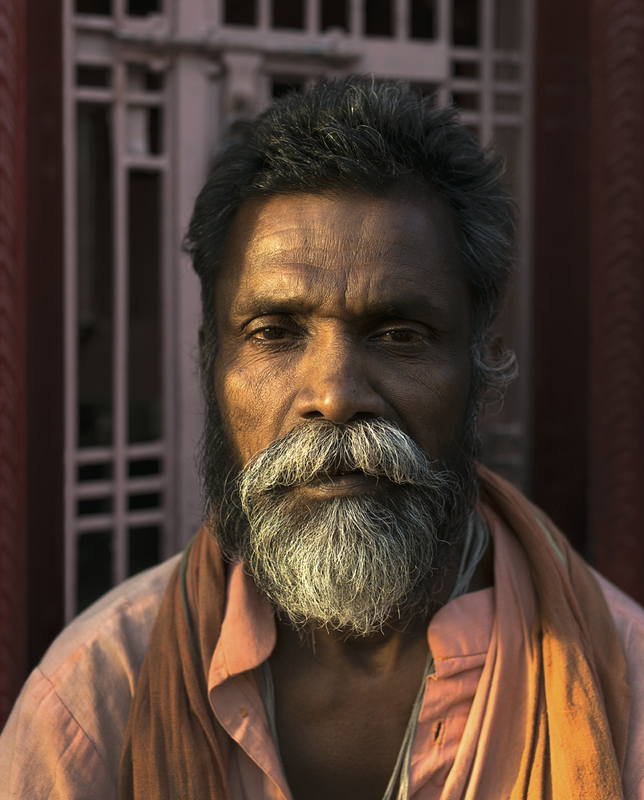 Varanasi is a living connection to humanity’s earliest attempts to find meaningful spirituality in a chaotic world. Empires have risen and fallen, wars have changed the course of history and countless generations have lived and died since Varanasi welcomed its first pilgrims, but still the city persists, reminding us that the meaning of life and death remains just as shrouded in mystery as it was at the city’s inception. Find out more about Mark Leaver’s work.